Ahoy, Matey! Jessica the Pirate is here. 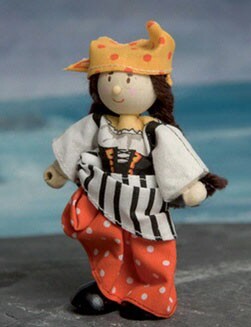 At a swashbuckling 4" tall, Jessica is poised to raid your doll house for treasure! She wears a long red skirt, a white peasant blouse with a striped jumper and yellow bandana. 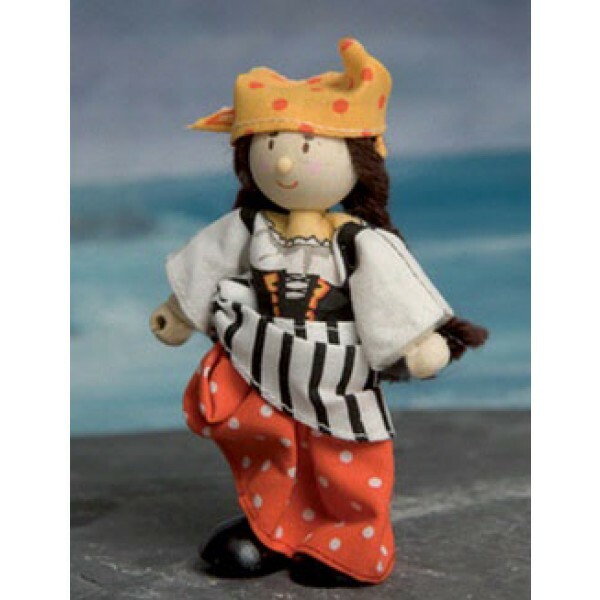 Jessica is one of the Budkins, a series of poseable characters with wooden heads and feet that are dressed in real fabric clothing. These toys, designed in the UK, are sure to be a hit.